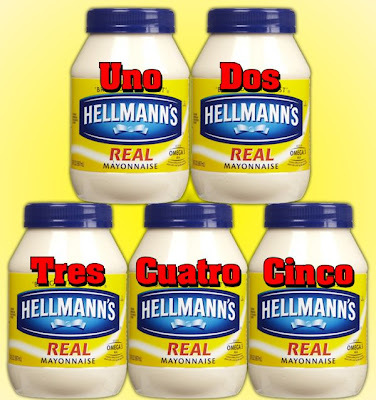 Cinco de Mayo is not Mexico's Independence Day, the most important national patriotic holiday in Mexico, which is celebrated on September 16, but after drinking your own body weight in Corona and then starting on the shots of Cuervo, people do start declaring independence from their inhibitions, and even their clothing. This is when Cinco de Mayo turns from a wholesome celebration of Mexican history and heritage into a raucous, semi-naked debauchery of epic proportions with body shots and wet t-shirts. And who exactly is doing all the celebrating? Americans. Cinco de Mayo is no longer a Mexican holiday, it has been hijacked by American culture in much the same way as the Irish religious holiday known as St Patrick's Day, and turned into an excuse to get wasted. The only difference is the choice of drink. 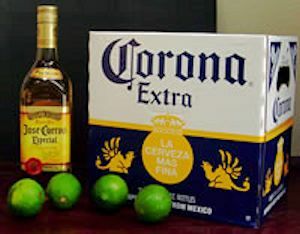 Corona vs. Guinness and Cuervo vs Jameson. Would we treat the Fourth of July with so much irreverence? And to think, this post was just going to be a silly visual pun. Never mind, it could have been worse. After yesterday's Star Wars Day post, I was talked out of doing the "Revenge of the Fifth" jokes.